Banking in Ghana began in the 1890s when Standard Chartered Bank (Ghana) Limited established its first branch in Accra. This was followed by the opening in 1917 of a Barclays Bank branch. Until 1953, these two banks were the only commercial banks operating in the country. Then the Bank of the Gold Coast was set up. 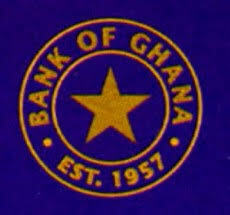 When Ghana gained independence in 1957, the Bank of the Gold Coast was split into two separate banks. These were the Bank of Ghana (which became the Central Bank) and the Ghana Commercial Bank, which ventured into commercial operations. The sector has since grown significantly. But growth comes with its own problems. Poor recoveries and non-performing loans continue to eat into the fortunes of banks. Just this year alone, two banks have been placed in receivership. And another is in administration. The BOG is determined to turn things around. 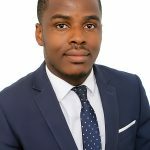 The noose around weak banks is being tightened as the 31 December 2018 deadline approaches for them to increase their minimum capital from GHS120 million to GHS400 million. Notices of blacklisted microfinance institutions are now commonplace. In spite of all these, the BOG is not resting. It is now focusing on the inner workings and decision-making processes within Ghana’s financial institutions (an expression which covers banks and specialized deposit-taking institutions). To this end, the BOG in February 2018 released a directive to assist in that regard. The aim of the directive is to assist financial institutions to adopt sound corporate governance practices, promote and maintain public confidence and minimize the possibility of failures rooted in poor corporate governance practices. For starters, the BOG directive throws the spotlight on the category of persons who qualify to manage the affairs of a financial institution. Persons of unsound mind, persons declared to be insolvent, persons convicted of fraud, dishonesty, or moral turpitude cannot be directors, employees, Chief Executive Officers or key management personnel of a financial institution. Also, persons associated with institutions that have been wound up or persons under the age of 18 are disqualified from occupying sensitive positions in financial institutions. The directive now involves the BOG in the appointment of top management personnel of financial institutions. The directive states that the written consent of the BOG must be sought before a financial institution makes an appointment. And in order to assist the BOG to make decisions regarding the suitability of a person to be a Chief Executive Officer, Deputy Chief Executive Officer, or key management personnel, due diligence should have been conducted into the background of the individuals and a report submitted to the BOG. The Board of Directors is not left out in all these. The BOG directive provides that the Board of Directors shall have overall responsibility for the financial institution. This means a number of things. It means that the Board of Directors is responsible for the implementation of the financial institution’s strategic objectives, risk strategy, corporate governance and corporate value goals. The Board of Directors is also responsible for appointing senior management personnel. In order to ensure that the Board performs its oversight responsibilities properly, financial institutions will now be required to give an indication to the BOG as to what they have achieved (in terms of their corporate governance goals) within 120 days of the end of the financial year. The Board of Directors are required to exercise a “duty of care” and a “duty of loyalty” to the financial institutions they preside over. If you need proof of how intrusive this directive is, then wait for this. The directive has what it refers to the separation of powers. In essence, the concept of separation of powers (within the context of the directive) simply means that the position of Board Chair and Managing Director/Chief Executive Officer shall be not occupied by the same person. The directive also provides that no individual shall have unfettered decision making powers. The directive insists that the two top positions of Board Chair and Managing Director shall not be simultaneously occupied by foreigners. Then the directive goes ahead to give an idea of the background of the persons who should be on the board. And the key word there is diversity. The BOG requires that members of banks have the following backgrounds: (a) banking; (b)law; (c) finance; (d) accounting; (e) administration; (f) information technology; (g) financial analysis; (h) entrepreneurship and so on. The Board is also required to have reasonable knowledge and understanding of local, regional and global economic market forces as well as the legal and regulatory environment it operates in. The BOG further requires that Ghanaians shall constitute at least 30 percent of the board of every financial institution. The directive sets a lower limit and an upper limit for the number of persons to be placed on boards. The lower limit for banks is 5. The upper limit is 13. Out of these numbers, the majority must be independent and non-executive directors. And they must be ordinarily resident in Ghana. Then there is a cap on tenure. Managing directors and Chief Executive Officers cannot stay on for more than 12 years. Directors shall have a minimum tenure of 3 terms, each not exceeding 3 years per term. Retired executive directors may be appointed as Managing directors and Chief Executive Officers but such appointment shall be subject to a maximum tenure of 15 years (inclusive of the term already served in an earlier capacity). The directive requires that there are at least 4 board meetings every year. And of these meeting, board members should attend at least 50 percent of all these meetings. Former officials of the Bank of Ghana are prohibited from serving as directors of the banks until two years have elapsed after the termination of their appointments or expiration of their contract of employment. The BOG sets out fines and in some cases imprisonment for non-compliance with the directives. It remains to be seen what the effect of this will be in the long run but for now, it is welcomed.